High Rocks is privately owned and there is an entry fee that needs to be paid at the lower bar before entry. The venue is mainly used for functions and weddings but is also open to climbers and the general public. The current climbing access is in a fragile state, and local activists and the BMC have been working hard to secure future access for climbers. We know not a lot of climbers like to pay to climb outside but the new entrance fees and rules must be obeyed as to not risk anymore price increases or any more restrictions. Please respect the owners wishes and be polite to staff if asked to show your ticket or if asked to move away from wedding parties. There has already been some tension between staff and unknown individuals not obeying the previous rules and jeopardising future access. As a result extra restrictions have been put in place. 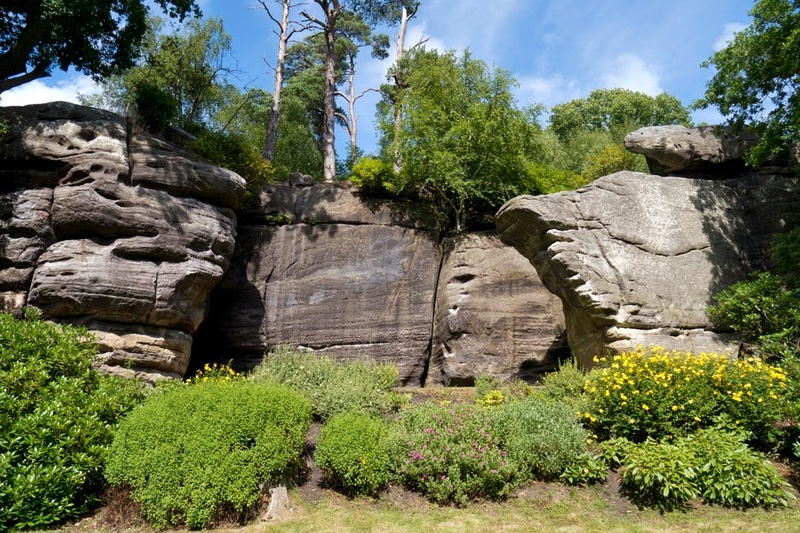 We now need to all set a 'good example' to the landowner that climbers can cooperate and peacefully climb at High Rocks, as this is vital to ensure access is maintained so we can continue to climb in this beautiful location. The first change is that as from 6th July 2015 High Rocks will be closed on Mondays and Tuesdays for the general public (including climbers), apart from bank holiday Mondays and private functions. The venue opens at 10:15 Wednesdays to Sundays. On Fridays, Saturdays, Sundays and bank holidays all climbers (roped climbing only), including members, must arrive before 11:30am or after 5:30pm. This is due to wedding parties on site. Bouldering is no longer allowed. Unfortunately bouldering is no longer allowed. Discussions to help resolve this situation will undoubtedly take place and hopefully steer this situation into a more positive direction. Until that time, please respect the no bouldering rule and keep crash pads away from the rocks, to avoid any misunderstandings. Roped climbing permitted Wednesdays to Sundays & Bank Holiday Mondays. Roped climbing is permitted throughout the whole week including weekends and bank holidays (except for Mondays and Tuesdays when the venue will be closed to the public). Membership can be bought at the main reception for an annual fee of £50. All members must show their membership card and sign-in the climbers book located in the lower bar. The 'NEMESIS' area is out of bounds when weddings are taking place. The area between 'I'll Be Back' and 'Something Crack' inclusive, including all routes on the 'Hut Boulder' are out of bounds. 'Boonoonoonoos', 'Celebration', 'Nemesis' and 'Odin's Wall'. Please also note the open area is restricted. Ropes should be removed and the area left clear for photographs. Please also note that only over 18's can climb at High Rocks. All sandstone climbers should be aware of this code, which gives advice on how to reduce your impact on to the rock. It can be found on the BMC website. Rock erosion; as with all crags on Southern Sandstone, the very soft rock can be easily eroded. Ensure no moving ropes are able to contact the rock by extending top ropes over the edge of the crag with static rope or slings. Clean the soles of your shoes before stepping onto the rock – as any sand or dirt on them will accelerates erosion of footholds and make climbing harder. Chalk is an unwelcome intrusion for non-climbing visitors to the rocks. 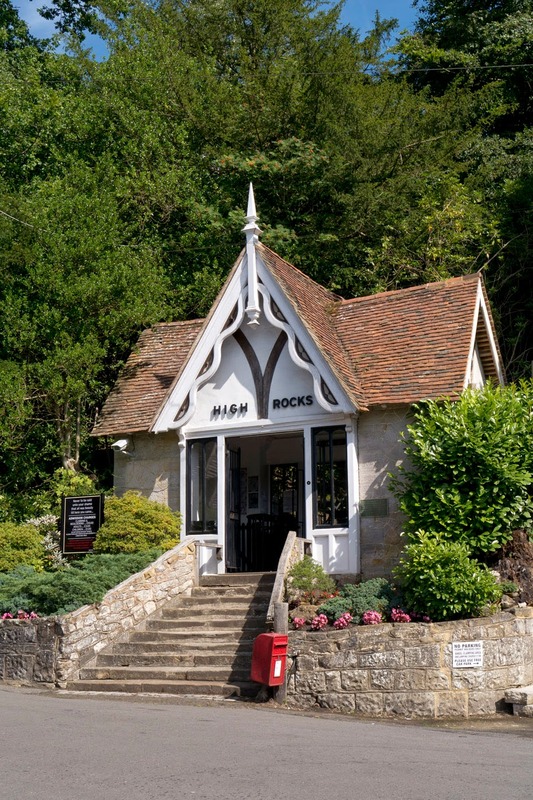 Keep any use of chalk at High Rocks to the absolute minimum and ensure you brush off (with a soft brush or towel - not with a bouldering/climbing toothbrush) any excess chalk once you are finished or avoid using chalk altogether. Another alternative to chalk is the Eco Ball. Read more about the Eco Ball HERE. 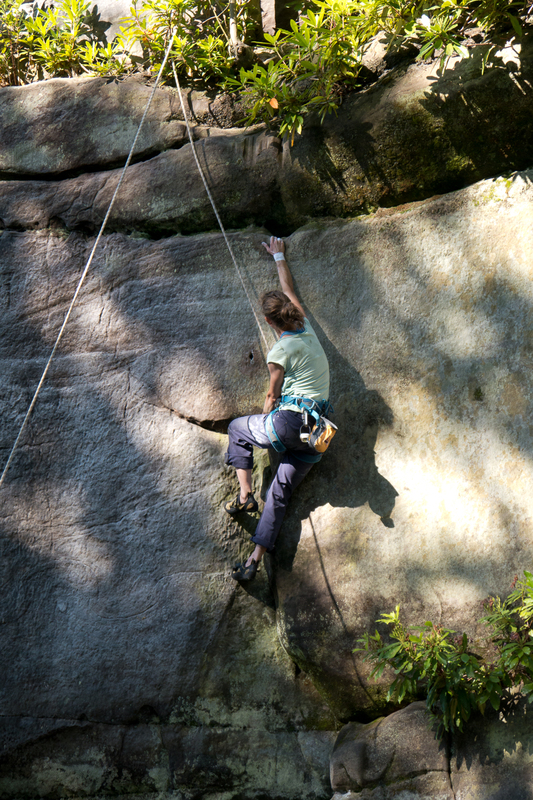 You may not realise you are doing it when you get to the crux of a route, so please do not shout or use bad language. Wedding parties, children and other members of the public all visit the rocks as a place of peace and solitude. Please be sensitive to these other visitors. As with any other crag, please take all litter home with you. 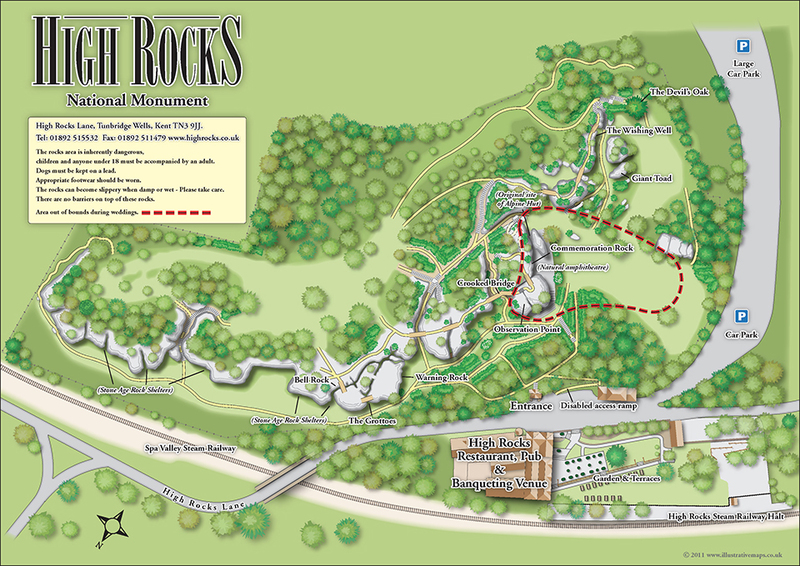 Please check the High Rock website HERE for any possable last minute changes regarding access. The BMC also publish access information on their Regional Access Database found HERE.